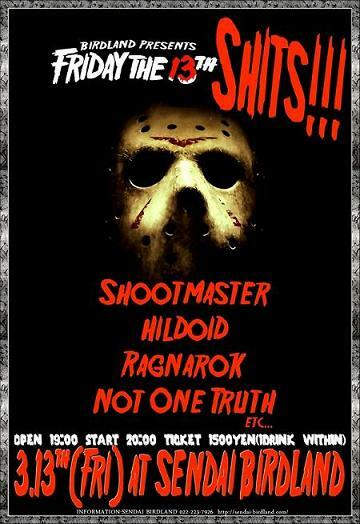 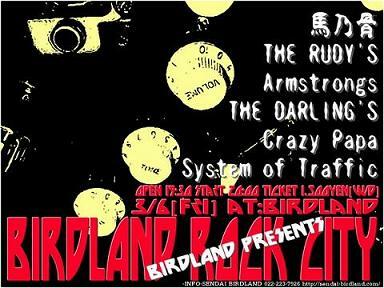 2009/03/06 (Fri)　-BIRDLAND Presents- "BIRDLAND ROCK CITY"
2009/03/13 (Fri)　-BIRDLAND presents- "FRIDAY the 13th SHITS!" 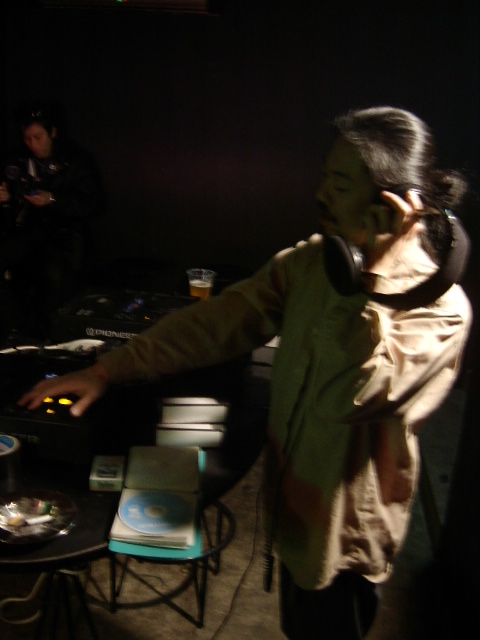 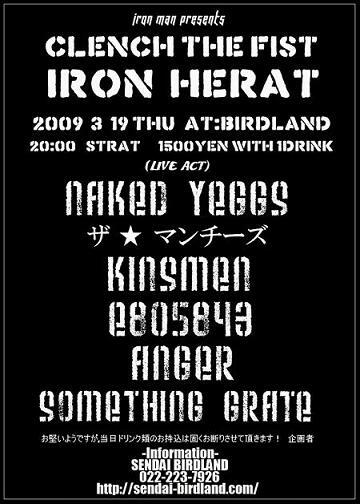 2009/03/19 (thu)　-iron man presents- "CLENCH THE FIST IRON HEART"
2009/03/21 (Sat)　-BIRDLAND Presents- "SHAKE YOUR BRAIN!?" 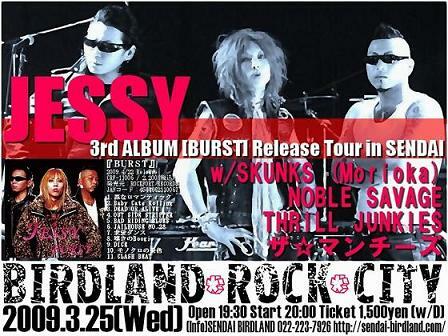 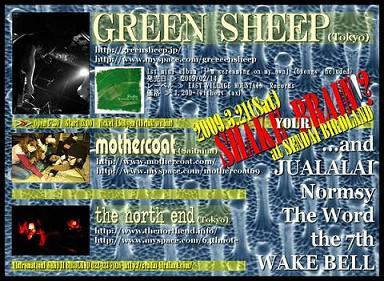 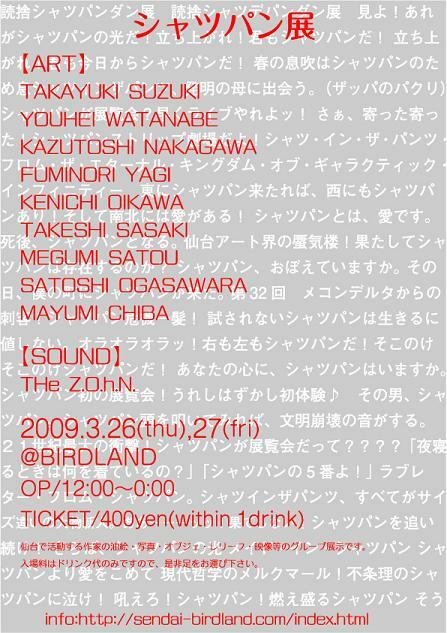 2009/03/25 (Wed)　-BIRDLAND Presents- "BIRDLAND ROCK CITY"